Home > Home > Is your home ready for winter weather? Many consumers don’t realize that lack of preparation could mean unwelcome home damage and unexpected repair expenses. To help families and businesses protect themselves and their homes against winter risks and enjoy the season, our friends at Trusted Choice® offer tips that can help families prepare for risks and hazards that may come during the winter months. • Identify Trees and Limbs that Threaten Your House and Vehicles. • Taking Care of and Repairing Your Roof. • Remove the debris from your gutters. Sticks and leaves can quickly accumulate in the gutters. 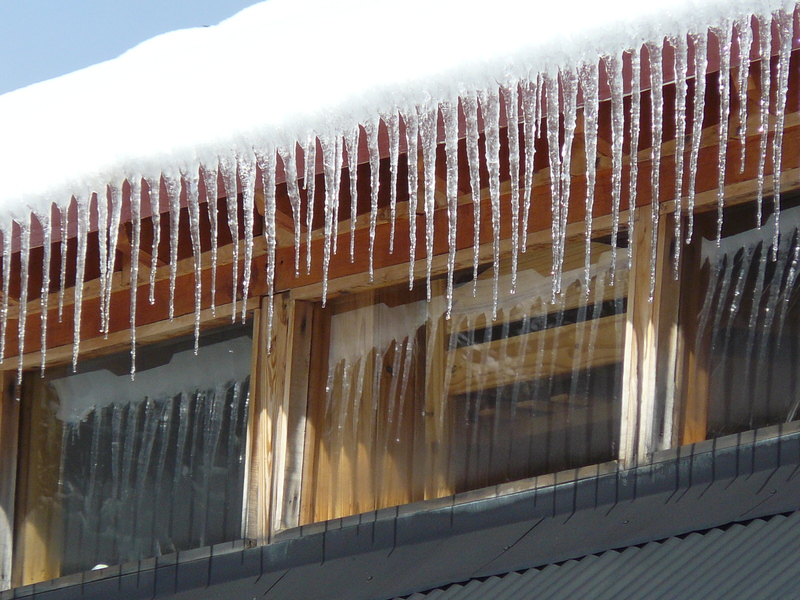 Clogged drains and gutters can form ice dams in which water backs up, freezes, and seeps into your house. You can also use a hose to quickly rinse out your gutters and try to see if there are any possible leaks. • Minimize the air leaks in your home. One tip you can use is to walk around your home with a lit incense stick. In common drafty areas, you will be able to see the effect of the draft on the smoke. The most common draft areas are doors, window frames and electrical outlets. You can minimize gaps in doors or window frames by sealing gaps with caulk or spray foam. You can use door sweeps to reduce gaps under your door. • Make certain your fireplace is winter ready. If you have a fireplace, you most likely enjoy using it during the winter as it can reduce heating costs and can be cozy. Your chimney does not need to be swept every year but should be inspected prior to use every year. Solid fuel burning stoves should be swept more than once a year due to the effect creosote has on mortar and metal dampers. • Your furnace should be checked every year. An inspection can be done to make sure your furnace hums right along, but there are certain measures you can take to ensure furnace efficiency, such as replacing dirty furnace filters. Filters should be checked monthly. Listen to a NOAA Weather Radio or other local news channels for critical information from the National Weather Service. Be alert to changing weather conditions.